It looks like this. Courtesy of the Dallas Police Department. 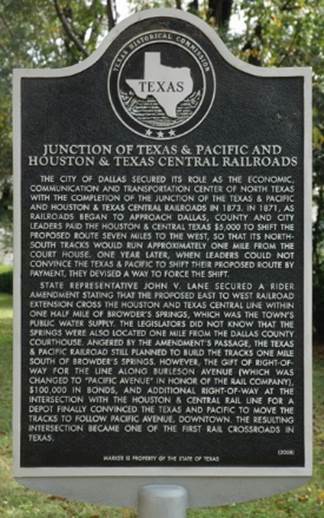 If you lifted the state historical marker at 2300 Pacific, near I-345 and the former site of the “Junction of the Texas & Pacific and Houston & Texas Central Railroads,” please give it back. Come on.